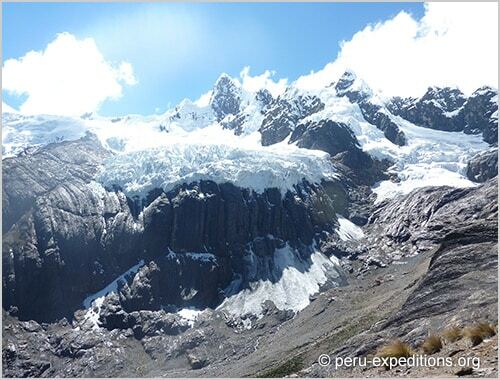 A moderate trek for those who want to live some days in the immensity of the Quilcayhuanca Valley. Join Juventino, a local IFMGA mountain guide on this amazing 3-day hike. You won't regret it! 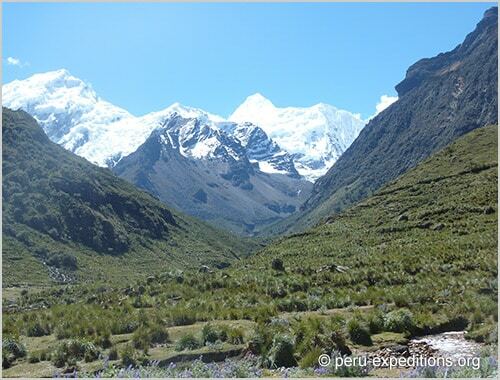 Welcome to a great short hike in a nice valley far from other touristic routes: the Quilcayhuanca trek! 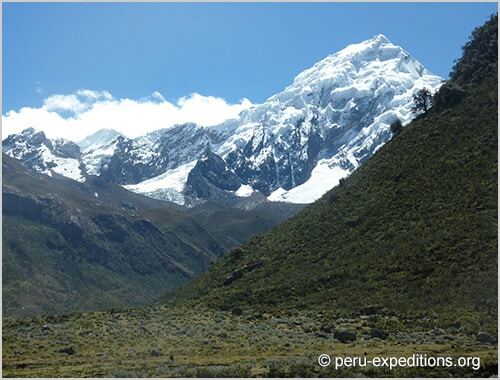 This Quilcayhuanca 3-day tour I am offering woks perfectly as an acclimatization before a bigger goal. 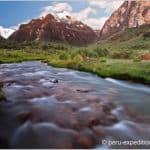 I think it is also ideal for those in search of an easy trip outdoors which lets them enjoy the unique landscape of north Peru. 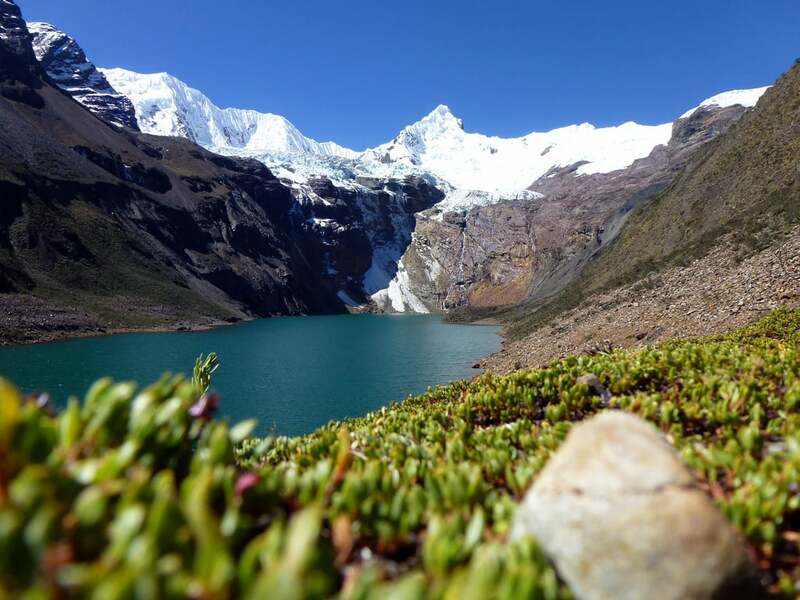 During this hiking trip in Quilcayhuanca you’ll find 3 amazing lakes: the Cayesh, the Tullpacocha and the Cuchilla. All of them are over 4000 meters of altitude! 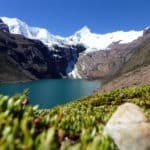 Moreover, the Tullpacocha and the Cuchilla lakes lie at the base of a great cirque of peaks, known as “the Chinchey peaks group”. It’s at 6309 meters of height. 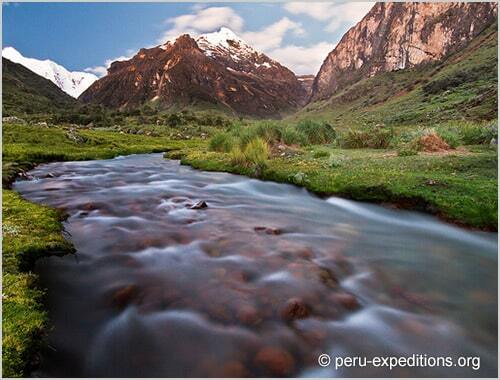 As you can see, it is also a really amazing trip to discover all these wonders that Peru has for you! And as if all this were not enough, in the interior of the Quilcayhuanca valley, we can appreciate a great gorge of 13 km long that ends in the huge cirque of peaks. The trail also passes through green fields where there are a big amount of cows, horses and donkeys. It is possible to see the most diverse fauna in this place, from small birds to curious foxes. You will also witness a large number of archaeological remains that add more value to this journey. Please find more details about the itinerary at the bottom of this description. Regarding the best season to come, I recommend the period from May till September, during the driest season. The maximum group size is 15 guests. All of them must have some previous hiking experience and a good physical condition. I have not an open group yet, so I will open a new one for you and your friends if you wish! All you have to do is getting in touch with me. I will help you plan this amazing trip or many other hiking adventures in the area, such as this trekking day in the Wilcacocha Lake. So, fill out the form and let’s conquer the Cordillera Blanca together !!! 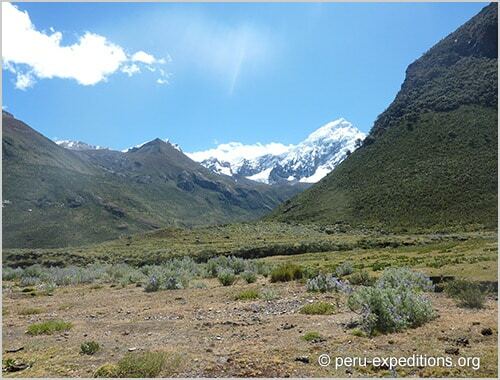 Today we will be transferred to Pitec, from where we will start the hike to our next destination: the Quilcayhuanca Valley. The route winds through the gorge alongside glaciated peaks. Here we will also find archaeological remains called Nuevo Tambo. 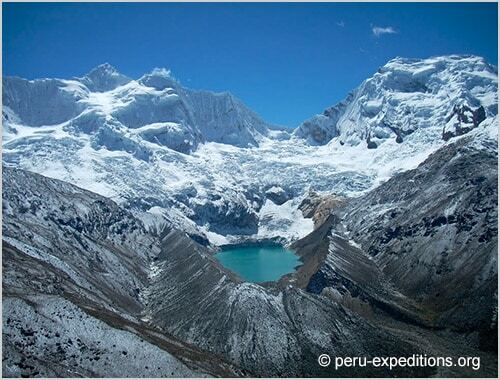 The Cayeshpampa camp (4,100 m) is not easy to find among the rocks, so we can also camp near the lake. 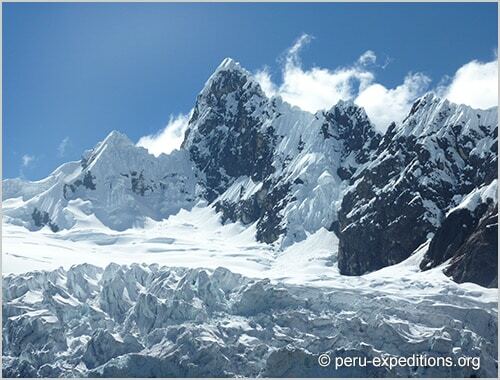 In the afternoon we’ll climb to Laguna Tullpacocha, where the icebergs from the glacier are still floating. Overnight Camp (B/L/D). 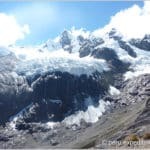 Today we will set off on an uphill trail, getting to Cuchillacocha Lake (4,625 m) at the foot of the snowcapped peaks of Pucaranra and Chinchey. 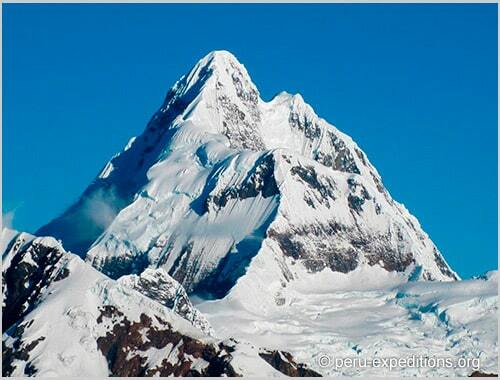 From here, we’ll continue climbing to the Huapi Pass at 5020 meters for approximately 5 hours. We’ll be then at the highest point of the circuit. After that, we will descend towards the Cojup Gorge to set up our camp in this beautiful canyon. Later we’ll take a short hike to the Palcacocha Lake (4,350 m) and return to enjoy the sunset. Overnight Camp (B/L/D). After breakfast we will leave the camp for an easy return. We will walk down along the Quebrada Cojub trail. At the end of the valley our private transfer will be waiting to take us back Huaraz via Llupa and Unchus. We’ll be in the city by lunchtime. Overnight stay in a hotel (B/L/-). 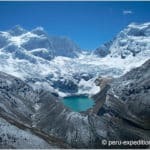 IFMGA/UIAGM mountain guide from Peru. He was born in 1960 in Huaraz / Peru. With his 15th Age he learned the world of trekking and mountaineering know by he accompanied his father on trips with his clients. To this day he is still working as a mountain guide and tour operator. 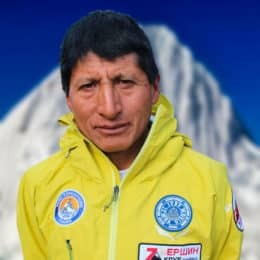 For many years he was able to acquire a lot of knowledge about the mountains, making it one of the most experienced certified mountain guides. He runs a family travel agency based in Huaraz, which was founded by his father, and is now managed by Juventino and his son, Eric. the best guide I’ve had over the past years and I have made a lot of hikes and climbing over the world. He is a very talented and experienced guide, he took care of us very much and made sure safety is first. We also had an amazing experience with the food, they cooked delicious meals. They also have top brand quality equipment that made us feel really safe, we had the lucky experience of having a horrible storm at the base camp and I believe that the north face summit series tent they provided saved us!!!! Overall, best guide I have ever had, made us feel very confortable and happy. If you want a guide to feel safe and have the best experience possible go with the legend Juventino!!! 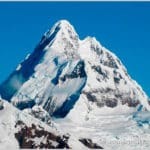 Mountaineering - 15 days - Interm.